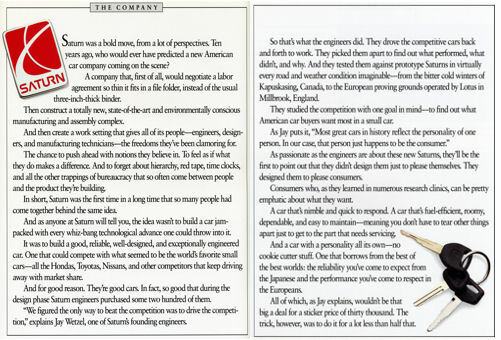 The following is an excerpt from Saturn's 1991 brochure. 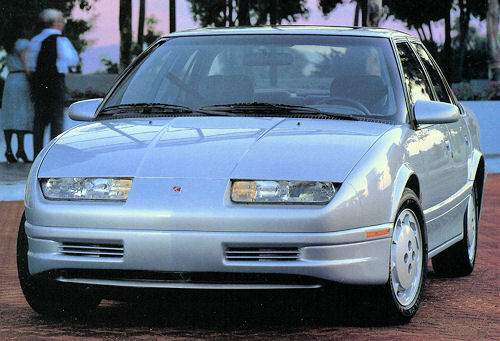 The first Saturn was a 1991 SL2 sedan sold on October 25, 1990. A television station in Ohio is working on a news segment about Saturn, and they are looking for an owner of any 1991 Saturn who lives in the area between the Cleveland, Ohio and Pittsburgh, Pennsylvania area. Ideally, the person they'd like to talk to is someone who is the original owner and still uses the car. 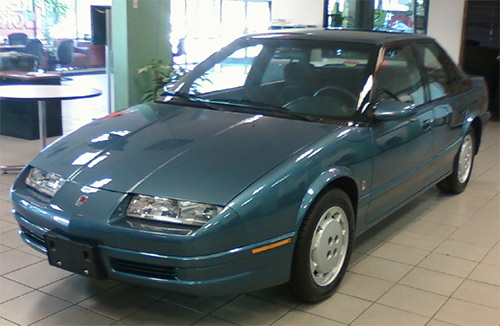 This '91 SL1 Saturn 4-door was one of the first models to roll of the company's assembly line in Spring Hill, Tennessee. Alex Taylor III, senior editor of Fortune magazine, recently compiled a list of the ten most significant cars in General Motors history. 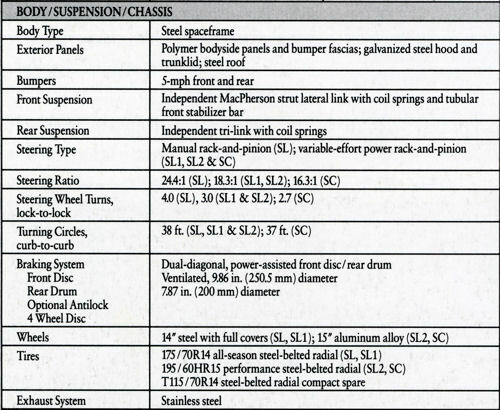 In chronological order, Saturn was cited as number 7. "Another GM effort to compete with the imports, Saturn represented a fresh start free of old encumbrances," he wrote.